Pre Order Now: Garage Dusty shirts & flat peaks – Garage Dusty Exciting Car Team! OK, I’ve finally got stuff ready to go! 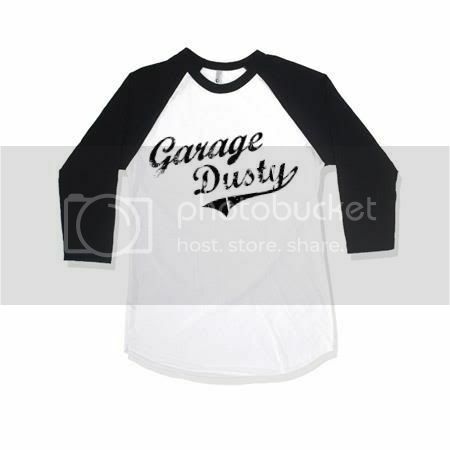 Garage Dusty 3/4 sleeve baseball shirt. Available in men’s or women’s sizes. $30. 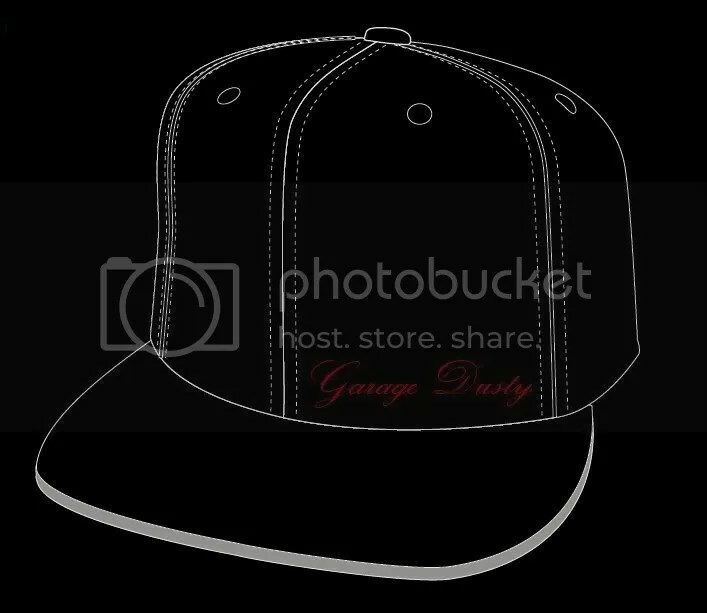 Garage Dusty Flexfit brand flat peak hat. Embroidered logo on front. Available in small or large size. $45. And yes, they come with a sticker on the peak! I will be placing orders for these products by Monday or Tuesday of next week (13-14 February) in order to have them before Winton Matsuri. Please email me at ygoslo7@gmail.com or text me if you know my number to order or to ask any questions. As an introductory offer, prices in this batch include shipping if needed! You can pay by paypal, bank transfer or by putting cash in my hand. If these go well there will be more coming soon!